Happy Holidays! I hope yours are all going well. Since my family is all home I haven’t had much time to do any artwork. So instead here are some cats. 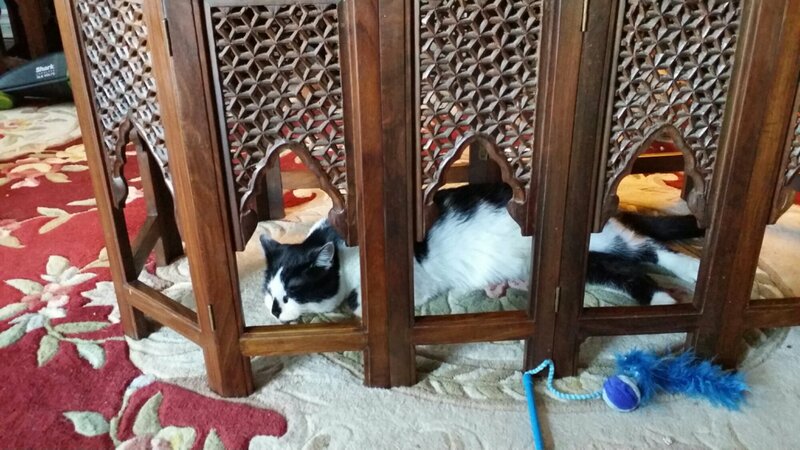 Here’s my little girl, Eevee, sleeping in her magical wooden palace. Which is actually just our coffee table. It’s hand carved. She loves hiding in there. 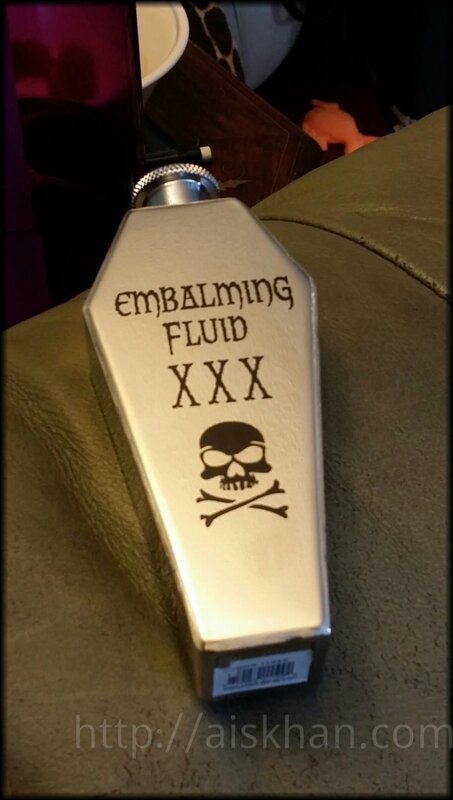 I was going to post some doodles I did today but I’m not quite satisfied with them yet, so instead here’s a photo of the latest addition to my flask collection. I got this little baby from Think Geek. I feel like it suits my personality pretty well. I feel like people may think it odd that I have a flask collection but I don’t even drink alcohol. Yes, another car drawing. Are you sick of it yet? 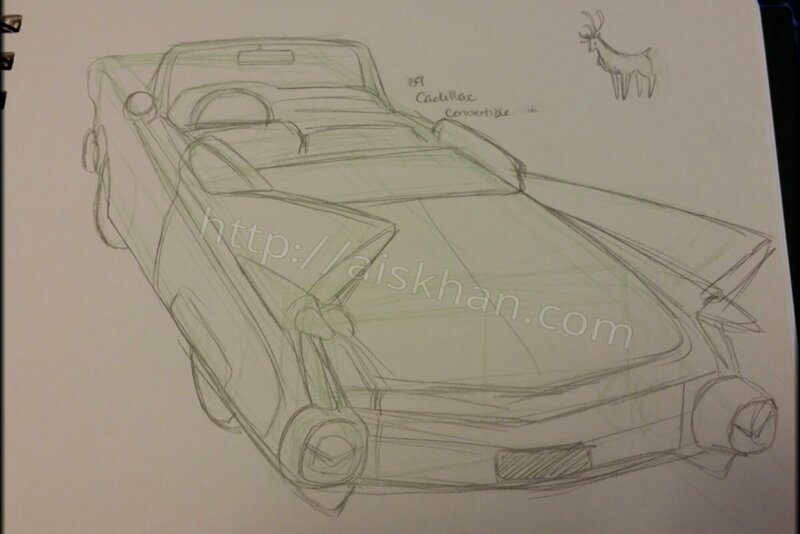 This time it’s a ’59 Cadillac convertible. The foreshortening on this one is weird. Also please excuse the deer in the upper right corner there. 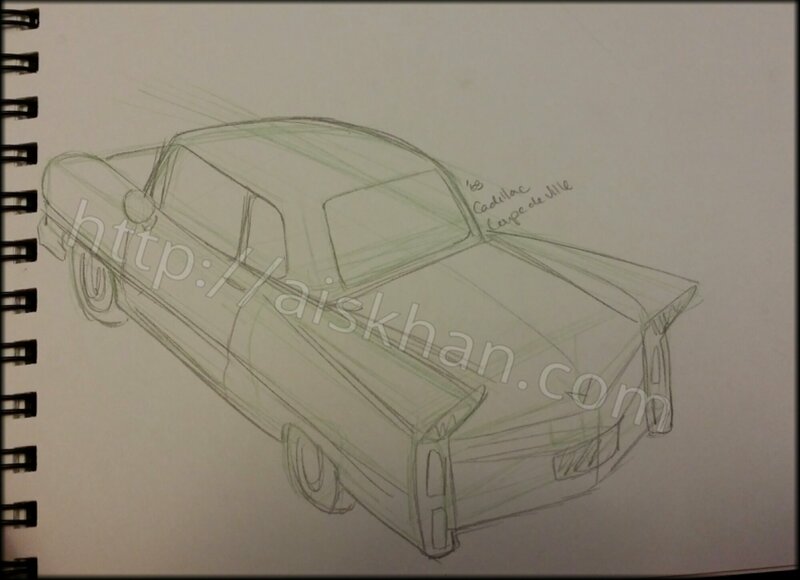 Another car sketch. I think I like the angle of this but I still need to work on this foreshortening business. Just some rough work for a few upcoming pieces. 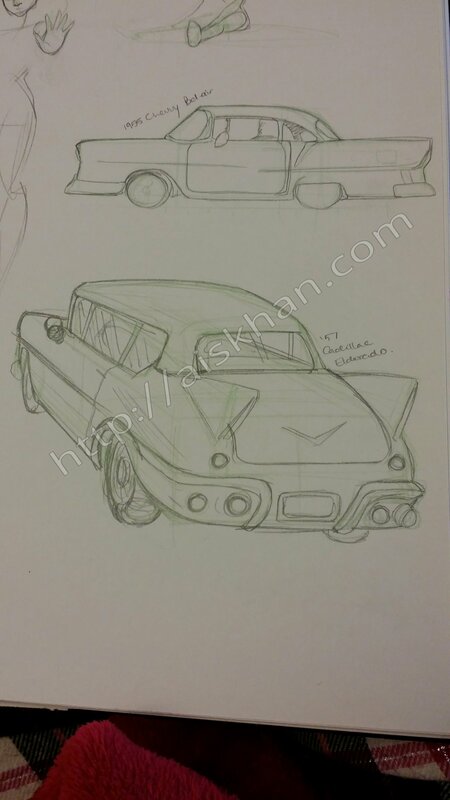 The top sketch is a 1955 Chevy Bel – air if I’m not mistaken. The bottom is a 1957 cadillac Eldorado. I don’t normally draw cars but I think these turned out okay.